Item Plantagenet 010 - Locations 30, 13, 57, 20 (later addition of Roads) by P. Chauncy, Fieldbook 4, and A. Hillman [scale: 8 chains to an inch]. Locations 30, 13, 57, 20 (later addition of Roads) by P. Chauncy, Fieldbook 4, and A. Hillman [scale: 8 chains to an inch]. 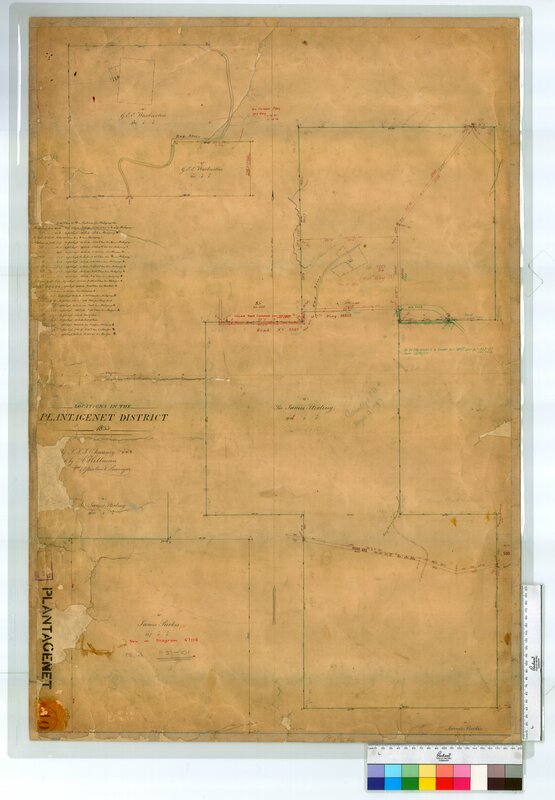 Confirm Item Request: Locations 30, 13, 57, 20 (later addition of Roads) by P. Chauncy, Fieldbook 4, and A. Hillman [scale: 8 chains to an inch].